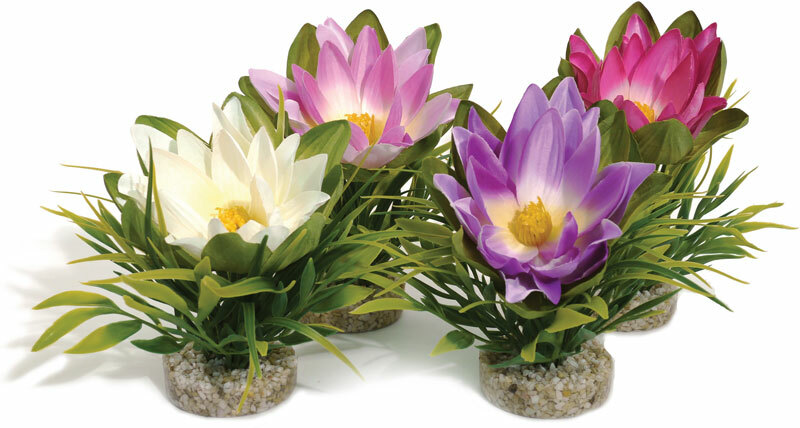 The Sydeco Lotus Flower Aquarium Plant is a colourful foreground plant suitable for all aquariums. Has a large, stable base for easy planting and so fish cannot uproot. Ideal for smaller aquariums where you want to add some brightness. There are currently no questions for Sydeco Lotus Flower Aquarium Plastic Plant - be the first to ask one!